This can serve many, or a few – depending on how you cut it. 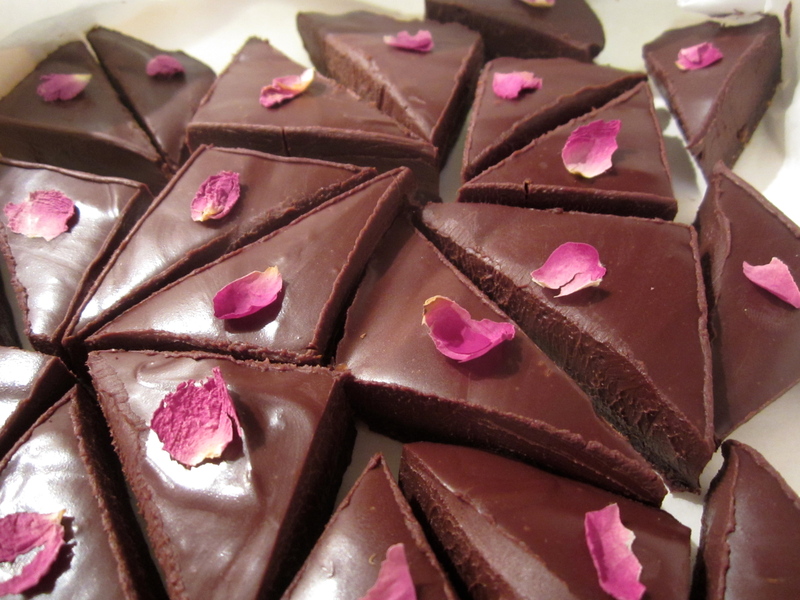 In this instance I made tripled batches of it in large dishes and cut out small triangles to make “petit four” portions. The basic recipe, here below, serves about 8-12, and is best made in a small spring form pan and cut like a pie. You can also make it in a square baking (brownie) dish, but beware it will be thicker. Rehydrate the figs in about a cup of warm liquid for about 20 minutes. Once the figs are soft, drain them and reserve the liquid. Chop them in halves or quarters and blend them in a food processor with the almond meal and cocoa powder, adding a spoon or two of the liquid if the mixture is too dry. When done, it should resemble very moist cookie dough. Press the base into a small (20-22cm, 8-10 inches,) springform pan that is lined with parchment paper. Once you have the base pressed down evenly, nearly flat, refrigerate it while you prepare the ganache. Chop the chocolate up into chunks and put in a non-reactive bowl. Heat the cream in a small saucepan over medium-low heat. Once the cream begins to simmer, pour it over the chocolate, whisking vigorously. Whisk the chocolate until evenly combined, then incorporate the pomegranate molasses and butter. Place the bowl in the fridge, and take out to whisk again every 5 minutes for about 15-20 minutes, until it begins to cool and starts to thicken. Take the base out of the fridge and pour the ganache on top, spreading evenly with a rubber spatula. Chill for at least 4 hours, or overnight. 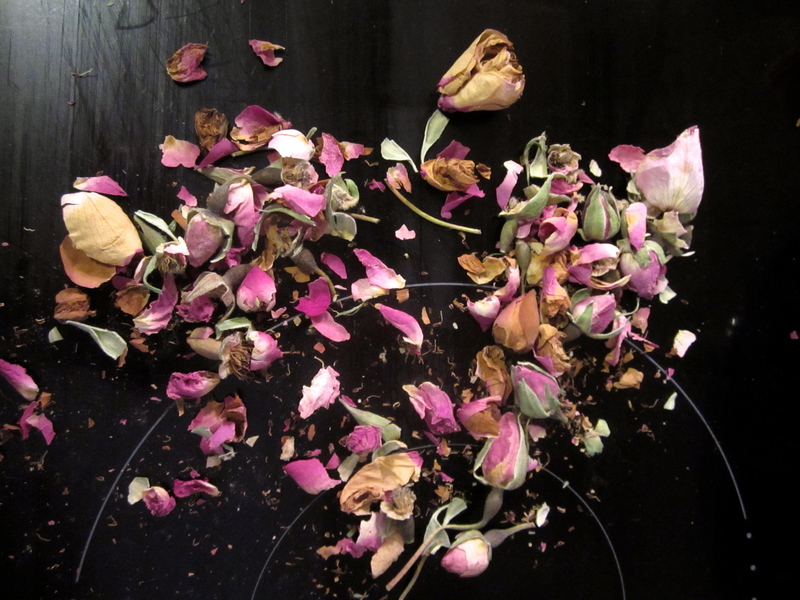 Can be served with small edible rose petals for extra garnish. 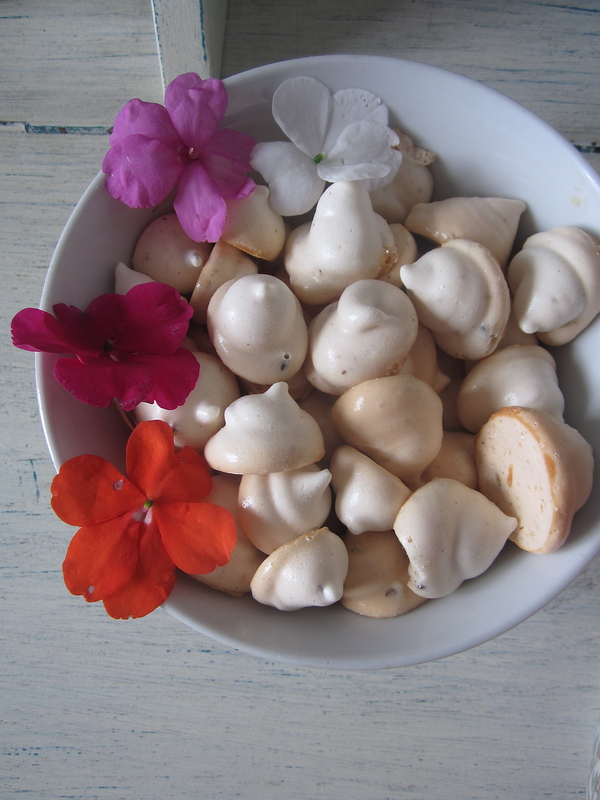 This entry was posted in Uncategorized and tagged dessert, events, orangeblossom, pomegranate, teatime by Jennifer. Bookmark the permalink. 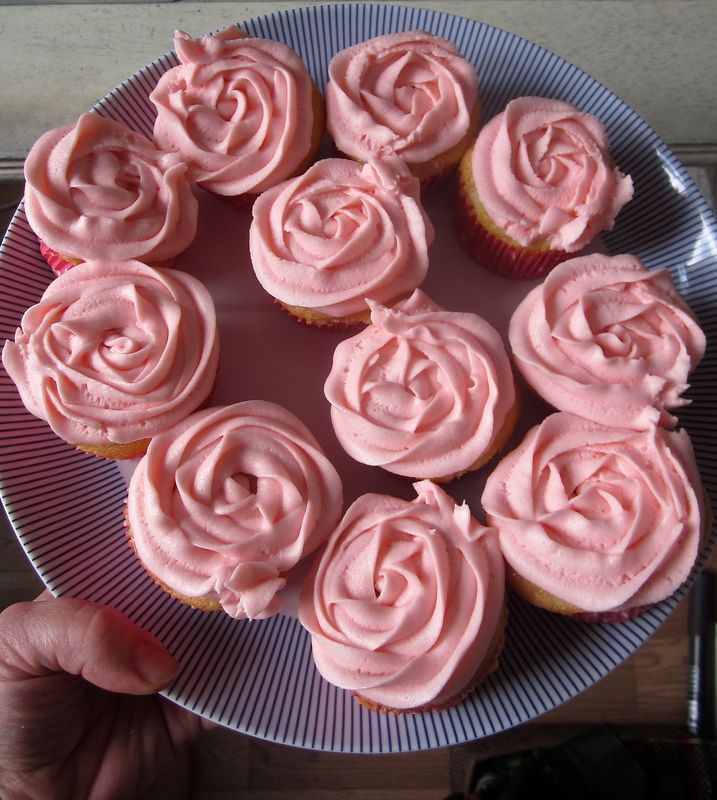 How pretty are those rose cupcakes, by the way! P.S. 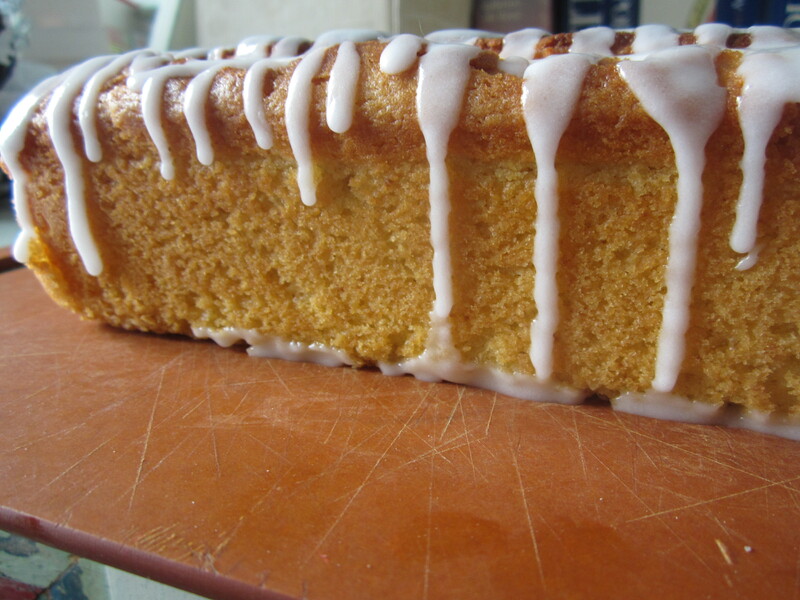 Upside-down fennel cake next? Well I dunno since it’s not really MY recipe… Let’s talk about this next time I see you.